A link to the ballot is available here: http://www.ma-eeac.org/ until March 8th. Even if you have voted in the first round of the election, you need to vote again. Please consider voting for Adin Maynard to represent Massachusetts energy efficiency contractors on the Energy Efficiency Advisory Council (EEAC). As an active EEAC member, I will work diligently to represent the interests of energy efficiency professionals while designing and approving Massachusetts utility and municipal aggregator-operated energy efficiency programs. I am versed in the processes of the EEAC, utilities, DOER, and industry stakeholders. I have an expertise in technical program standards and energy efficiency contracting best practices, and I have years of field work under my belt as a small business manager and operator in the Massachusetts program climate. With this diverse background, and eagerness to support the State energy saving goals, I am confident that I will effectively represent small business interests on the EEAC. Efficiency programs must support a sustainable industry. As the representative of small industry professionals on the EEAC, I will work to ensure MA energy efficiency programs support a durable and sustainable industry to benefit energy savings, job growth, further opportunities for small companies, and consistent and fair program details. To meet the long term energy, climate, and capacity goals set forth by the Green Communities Act, small business stakeholders must have opportunities to grow in the utility program markets. Innovation, ‘deep energy savings’, and exponential growth of the energy efficiency sector will require greater opportunities for contractors through improved program designs and stakeholder collaboration. As your representative on the EEAC, I will bring these issues to the forefront of the program design and process. I have technical field experience. I have worked in attics and crawlspaces, performed many energy assessments, and designed ‘deep saving’ retrofits in and out of program environments. I have experience in residential, multi-family, commercial, low-income and behavioral energy efficiency programs. I am respected by utility program administrators and EEAC members. I have attended and presented comments at many EEAC meetings in support of contractors and fair program design. I have provided input relating to contractor interests to DOER staff, utility program administrators, and EEAC members. I am a diligent and thoughtful communicator. I was an elected member of the Mass Save Best Practices Working Group. I have small business experience. I am a small business operator. 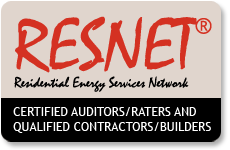 HIS & HERS Energy Efficiency provides HERS Rating and code compliance services for the Mass Save New Construction program and contractors in ‘stretch code’ municipalities. Additionally, I have directly supported IICs and HPCs to achieve success in Mass Save programs. I acted as Director of Operations for Cozy Home Performance, a BPI Accredited Mass Save HPC, and also managed community marketing for a utility-sponsored behavioral energy efficiency program. I have a proven track record. Representing Efficiency First and Cozy Home Performance, I collaborated with other contractors to lead a successful appeal for the inclusion of Home Performance Contractors into the Mass Save HES program. As Chair of the Northampton Energy & Sustainability Commission, I have gained municipal government experience in Green Communities related policy initiatives. If elected to represent you, I will hold monthly update calls to hear from you and to share information relating to progress of the EEAC and programs that impact your business. Additionally, I will be available via email and phone to Mass Save stakeholders I represent. Mass Save Software operator - was an approved Mass Save HES vendor so I am well versed in program software, technical standards, and the impacts of program design. As an HPC, I was an elected member of the Mass Save Best Practices Working Group. Newer Post2012 IECC. In Massachusetts, Performance path is the way.